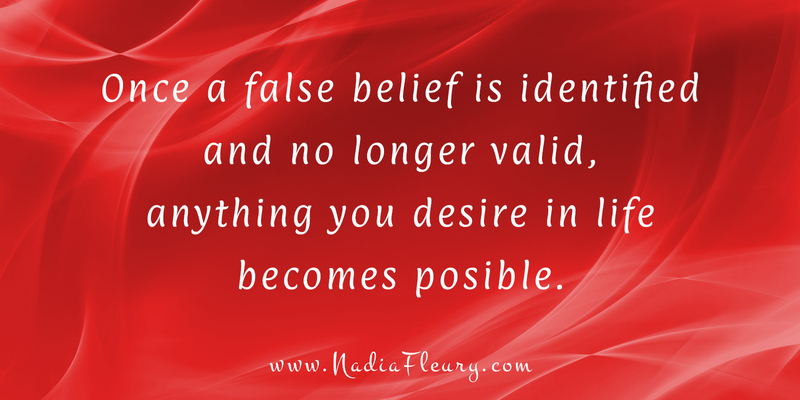 Today I’ll be going a little deeper into “The Power of Releasing” by addressing our belief systems. The reason I’m addressing this is because once a false story is identified and no longer valid, anything you desire in life becomes possible. Your mind captures about 30 thoughts per second. Depending on your degree of consciousness, your brain has the ability to remember perhaps two to three thoughts per minute. The rest is assimilated in your subconscious. This is where body language, tone, and other elements are registered. Notice how when you try to share a memory with someone, even though you may go into details about what was said, the person you’re telling the story to will never completely grasp your experience because there are many details that cannot be communicated with words. This is important to know. It’s why only you can tell what is best for you, according to your experiences. When you ask someone to decide for you, you’re not doing yourself a favor. Oftentimes, when you ask others to decide for you, it’s because of fear. You might fear making the wrong decision because you were raised by someone else always deciding for you and you never learned to be mentally independent. Or maybe you’ve experienced a traumatic event that was so hurtful that you shut down a part of yourself so you don’t feel the pain again. When this arises, you let go of your connection with your intuitions. Let me give you an example so that you understand what I mean. Let’s say you were madly in love with someone. You gave your heart to that person. Your whole being was so happy to be with that person and you told everyone you had found your soul mate. Then, a few months later, you come to learn that the person of your dreams doesn’t love you and that person leaves you. You are suddenly crushed. The pain is so unbearable that you disconnect your “self” from your heart. And from that point on, you start living in your rational mind. You reason things out. You may become very successful in life, but something deep inside you is not connecting and you feel empty. Since you’ve disconnected from your heart, you stifle your values. At this point, you may start looking for love in the wrong places —meaning your criteria may not align with your values. Let’s say you used to value deep, meaningful relationships. But ever since your heartache, you decide only to meet shallow, superficial people – just to have fun. Over time, your thoughts take a certain path. And you live like that, assuming that’s how life is supposed to be. Over time, this becomes your story; a story you believe to be true. This story shapes your life. We are all unique. No two individuals have the same experience, including siblings. And we all have a story we believe to be true. I recently visited my family back in Montreal, and as we were all sitting at the table, the conversation turned to an event that had happened when we were all very young. It was fascinating to see that none of us had the same story. The funny thing was watching the one who insisted they had the “right” version of the event. 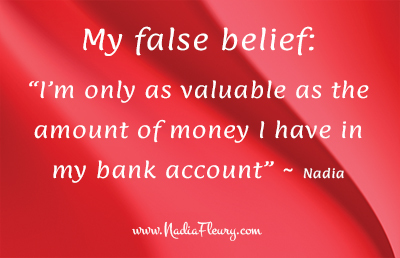 We all have our own belief system. And that’s why learning to be in a relationship with anyone is a lifelong journey. Where the power of releasing comes in is when you’re so attached to your story that you cannot be successful and happy in life. In previous podcasts, I’ve discussed how for the longest time I expected others to make me happy, which didn’t bring the results I was seeking. At one point, I assessed my life and noticed that I did so much, yet I never felt I was enough. I shared this feeling with my mentor, Phil, to see why I felt that way. After asking me several questions, he turned the spotlight onto a part of myself that I couldn’t see — a part of myself that had kept me from being happy. We discovered together that as a small child, I’d picked up that money was tied to love. I got this story into my mind because I witnessed my parents arguing over money. I assumed that if there were enough money, we would be living in a home filled with love. Over time, I tied love with money. That’s why I was so driven to earn an income and why I’d been aiming to be wealthy. The more money I could bring in, the more love I could give and receive. The thing is, I didn’t know this old story was driving my life. So when I quit my high-paying job, I didn’t feel I was entitled to be loved until I was in revenue. Over time, I felt unworthy of love. And to compensate that negative feeling, I put a lot of expectations onto my husband. Now, on his end, he was also dealing with his own childhood stories, especially fear of poverty. Now, identifying the problem was one thing. Releasing it was another process altogether. It took some time to dive into what was truly at the root cause of it. Bear in mind, this is a process. Nothing happens overnight. Only this past December did I finally get the chance to get to the source of the problem. During the clearing process, Dan asked me to go back in time to see where this belief came from. It was when I was about three years old. A man came to our house asking for my father. Now, mind you, my father was doing shady things to get money. I didn’t understand the language of money, but I could sense my mom feeling very nervous and afraid. I assumed this man was asking my mother for money, and she probably replied that she didn’t have any. Then the man said that since he couldn’t get the money, perhaps he could take one of the children. At that point, my mother stood in front of us to protect us and said, “No. You are not touching any of the children.” She was afraid but resolute. From my perspective, it seemed that nobody would suffer if there were enough money in the bank. Having enough money would mean being safe and protected. If I had enough money, I could protect my mother from having to deal with this man. This shift in perspective was priceless to me. From that point on, I was no longer bound to this false belief that prevented me from taking the time to enjoy my life. It lifted that constant feeling of never being enough. I wasn’t permitting myself to enjoy life until I was in revenue. And I wasn’t in revenue because I felt I had to always be busy. But being busy didn’t mean being productive. As you can see, the power of releasing can make a huge impact on your life. There’s another angle I also wish to share. This time it’s being on the other side and being the facilitator of releasing someone to his greater potential. In podcast #3, I explained in detail why I left my husband in order to discover my true “self”. While I was settling into my new apartment, my husband continued to be sucked into his negative vortex. One day, in mid-October, I felt something really important was happening. All I knew was that it was going to change the course of my life. The next day, I picked up my son from school and brought him to his home—he had chosen to live with his dad. During the drive, he shared that his dad seemed a little more tired than usual. Since I was in my old neighborhood, I decided to go say hello to my friend Nixza. When I spoke with her, she told me that she had also noticed something unusual with my husband the day before. Although I wanted to go back to my place, I intuitively felt I had to stay. So I hung out with my son and my friend for a while. Then I got a text from my husband telling me he tried to see a doctor but he arrived too late, and the office was closed. At this point, I knew something was going on. I stayed and cooked dinner. When my husband arrived, I noticed right away that something wasn’t right. He wasn’t in pain, but he wasn’t coherent when he spoke. Nixza got the bright idea to check his blood pressure. From the results, Nixza suggested we take him to the hospital. Well, it turned out he was having a stroke and needed brain surgery. My whole being shifted when I heard “need brain surgery.” No matter how upset I was, I wasn’t prepared to hear those words and the implication around this life-changing event. Me, who is telling you to master your fears. Well, guess what. My brain went through the whole spectrum of fear. The biggest one of all: “What if he dies? Or what if he’s no longer capable of thinking for himself”? I had wanted to be free, and this event was bringing me back in. 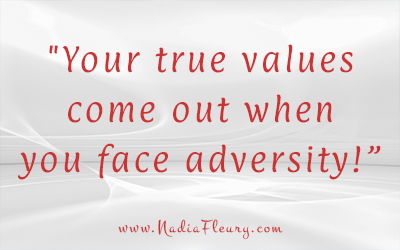 Only when you face such adversity, do you realize what you’re made of. That is when your true values come out. Deep down, I knew what all of this meant. I had learned to love myself back to life in July when I worked up the courage to leave. This was another challenge from the universe. My husband was the last person I wanted in my life. However, in that instant, he wasn’t just my husband. He was the father of my son. He was also the father of three other sons from his previous marriage. He was a granddad to two beautiful granddaughters. I thought he deserved the best and I told God, “I’m ready to love him back to life, no matter what happens.” He spent 18 days in the hospital. And it required another month for full recovery. While he was in the hospital, the injury affected his ability to communicate and comprehend. It was sad to see how he couldn’t say the three-step process of brushing his teeth. After the injury and surgery, his brain had to learn new pathways to communicate. Because where I live is closer to the hospital, I brought him to my place rather than taking him to his home. Waking up and looking at 40 staples on his skull made me realize how fragile life is and how important it is to live fully each day. By late November, he had recovered his thoughts and had become more solid on his feet. By mid-December, he was back to normal and went back to work. 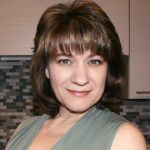 The power of releasing came when he simply said, “Thank you, Nadia, for saving my life.” This experience took him completely out of his negative vortex. He is now strong, healthy, and free to live his life on his own terms. All resentment and bitterness are gone. We both have finally learned to love each other back to life!